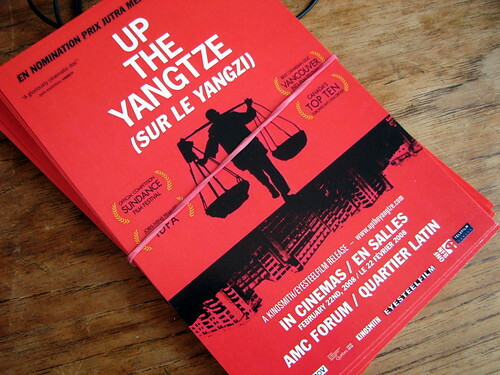 Back by popular demand, Up the Yangtze will return to theatres this Friday August 15 for an open run at Montreal’s AMC Forum. The epic documentary provides another face to China not shown during the Olympic Games, exploring the lives of people living along the Yangtze River, forced to deal with flooding from the massive Three Gorges Dam. The movie is presented in English with Mandarin subtitles. Dolby 5.1, 95 minutes, 35mm. Quelle bonne nouvelle! Je l’avais raté et je me disais que ce ne serait pas pareil sur petit écran… Je vis m’y ruer! Merci pour l’info!